Passages in bold in the body of the texts below are my emphasis. This is an ongoing project, and I update the site frequently during the day. Because I try to stay focused on what has actually happened, I usually let the news ‘settle’ for a day or so before posting. I hope readers will peruse the articles in full for a better understanding of the issues and their context; our democracy and our future depend on citizens who can distinguish between facts and falsehoods and who are engaged in the political process. 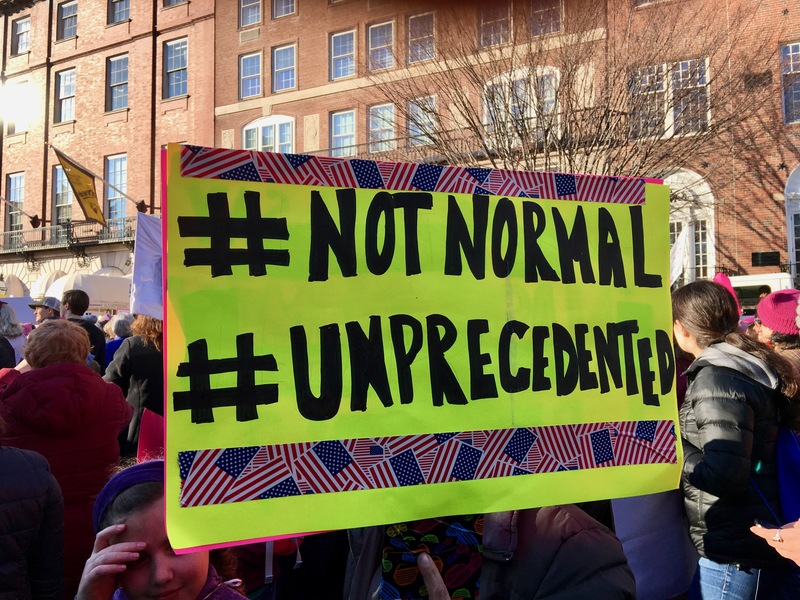 For “a weekly newsletter celebrating people-powered wins against the Trump administration’s agenda,” visit Small Victories. For independent global news, visit Democracy Now! Passages in bold in the body of the texts below are my emphasis. This is an ongoing project, and I update the site frequently. Because I try to stay focused on what has actually happened, I usually let the news ‘settle’ for a day or so before posting. I hope readers will peruse the articles in full for a better understanding of the issues and their context; our democracy and our future depend on citizens who can distinguish between facts and falsehoods and who are engaged in the political process. Trump Directs the State Department to End Aid to 3 Central American Countries, The New York Times, Katie Rogers, Zolan Kanno-Youngs and Michael D. Shear, Friday, 29 March 2019: “President Trump said on Friday that there would be a ‘very good likelihood’ that he would seal off the United States border with Mexico next week, even as he moved to punish Guatemala, Honduras and El Salvador for migrant caravans by cutting off all foreign aid to the countries. The moves escalated a sustained berating of countries he blames for being unable to stop the flow of migrants trying to make their way north.” See also, Trump plans to cut U.S. aid to 3 Central American countries in fight over U.S.-bound migrants, The Washington Post, Mary Beth Sheridan and Kevin Sieff, published on 30 March 2019. Special Counsel Robert Mueller Delivers Report on Trump-Russia Investigation to Attorney General William Barr, The New York Times, Sharon LaFraniere and Katie Benner, Friday, 22 March 2019: “The special counsel, Robert S. Mueller III, on Friday delivered a report on his inquiry into Russian interference in the 2016 election to Attorney General William P. Barr, bringing to a close an investigation that has consumed the nation and cast a shadow over President Trump for nearly two years. Mr. Barr told congressional leaders in a letter that he may brief them on the special counsel’s ‘principal conclusions’ as early as this weekend, a surprisingly fast turnaround for a report anticipated for months. The attorney general said he ‘remained committed to as much transparency as possible.’ In an apparent endorsement of an investigation that Mr. Trump has relentlessly attacked as a ‘witch hunt,’ Mr. Barr said Justice Department officials never had to intervene to keep Mr. Mueller from taking an inappropriate or unwarranted step. The department’s regulations would have required Mr. Barr to inform the leaders of the House and Senate Judiciary committees about any such interventions in his letter. A senior Justice Department official said that Mr. Mueller would not recommend new indictments, a statement aimed at ending speculation that Mr. Trump or other key figures might be charged down the line. With department officials emphasizing that Mr. Mueller’s inquiry was over and his office closing, the question for both Mr. Trump’s critics and defenders was whether the prosecutors condemned the president’s behavior in their report, exonerated him — or neither. The president’s lawyers were already girding for a possible fight over whether they could assert executive privilege to keep parts of the report secret.” See also, Read Attorney General William Barr’s Letter to Congress on the Mueller Report, The New York Times, Friday, 22 March 2019. See also, Mueller report sent to Attorney General William Barr, signaling his Russia investigation has ended, The Washington Post, Devlin Barrett, Matt Zapotosky, and Josh Dawsey, Friday, 22 March 2019: “Special counsel Robert S. Mueller III submitted a long-awaited report to Attorney General William P. Barr on Friday, marking the end of his investigation into Russian interference in the 2016 election and possible obstruction of justice by President Trump. The submission of Mueller’s report ends his closely watched inquiry — a case that has engulfed the Trump administration since its inception, leading to criminal charges against 34 people, including six former Trump associates and advisers. A senior Justice Department official said the special counsel has not recommended any further indictments — a revelation that buoyed Trump’s supporters, even as other Trump-related investigations continue in other parts of the Justice Department. 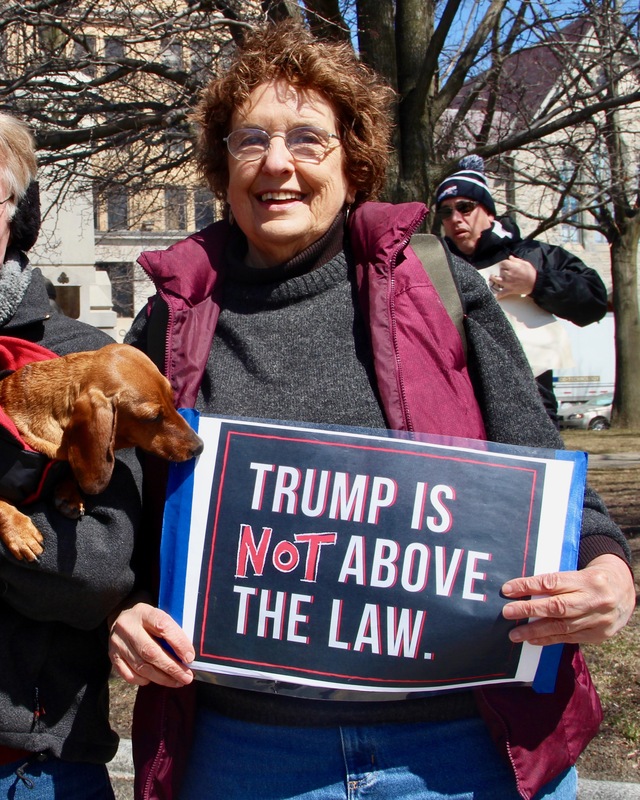 It is also unclear whether a Mueller report that does not result in additional charges could still hurt the president politically.” See also, Attorney General William Barr’s letter about the Mueller report, annotated, The Washington Post, Aaron Blake, Friday, 22 March 2019. See also, Special Counsel Robert Mueller’s Russia investigation is officially complete, Politico, Darren Samuelsohn and Josh Gerstein, Friday, 22 March 2019. See also, Robert Mueller’s Report on Trump-Russia Investigation Is Delivered to Attorney General William Barr, The Wall Street Journal, Aruna Viswanatha, Sadie Gurman, and Byron Tau, Friday, 22 March 2019: “Special counsel Robert Mueller presented his long-awaited report to the Justice Department on Friday, ending his nearly two-year investigation that has loomed over the Trump presidency and likely setting up a political battle over what he has found. In a letter to the majority and minority leaders of the House and Senate Judiciary Committees, Attorney General William Barr said Mr. Mueller had concluded his investigation of Russian interference in the 2016 election and related matters, and he said he would be able to alert Congress to Mr. Mueller’s ‘principal conclusions’ as soon as this weekend. Those conclusions are expected to be made public, though it remains unclear whether Mr. Barr will at some point release the full report, which President Trump and lawmakers from both parties have called for. 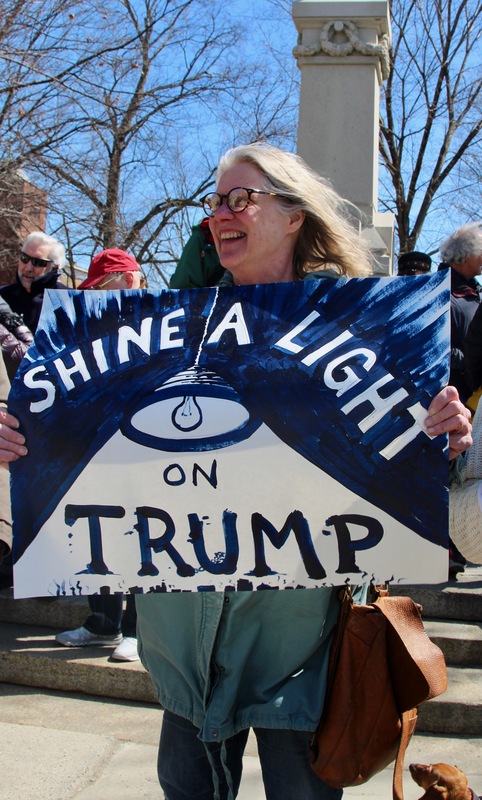 If he doesn’t, he could face a tussle with Congress.” See also, Who Is William Barr: He Will Decide What Happens With Mueller’s Report, The New York Times, Eileen Sullivan, Friday, 22 March 2019. See also, 2020 Democratic Presidential Candidates Demand Full and Immediate Release of the Mueller Report, The New York Times, Richaed Fausset and Maggie Astor, Friday, 22 March 2019: “Democratic presidential candidates wasted no time Friday evening demanding the immediate public release of the long-awaited report from Robert S. Mueller III, with several saying that Americans deserved to know any findings about President Trump, Russia and the 2016 election in order to form judgments about Mr. Trump and the 2020 race.” See also, Special Counsel Robert Mueller has submitted his report. Now Attorney General William Barr must share it with the rest of us. The Washington Post, Editorial Board, Friday, 22 March 2019: “It was the announcement that Washington has awaited for nearly two long, tweet-filled years: Attorney General William P. Barr told Congress on Friday that special counsel Robert S. Mueller III has completed his report on Russia’s involvement in the 2016 presidential election. The report is now on Mr. Barr’s desk. The question is how much of it will move from there into the hands of Congress and the public…. As Mr. Barr considers what to release publicly, he must keep in mind that the Mueller inquiry is no ordinary investigation. Typically, the Justice Department is wary of revealing investigative information that did not lead to an indictment. This is the right instinct: It guards against law enforcement dragging people through the mud when prosecutors do not have enough evidence to charge them formally. But an attack on the country’s democracy — and senior officials’ response — is a national concern with unusual importance to the country’s politics and policy. Part of the point is to educate the public and reform the law to better prepare for further foreign intrusions. Mr. Mueller’s conclusions and supporting evidence must be released.” See also, I wrote the special counsel rules. 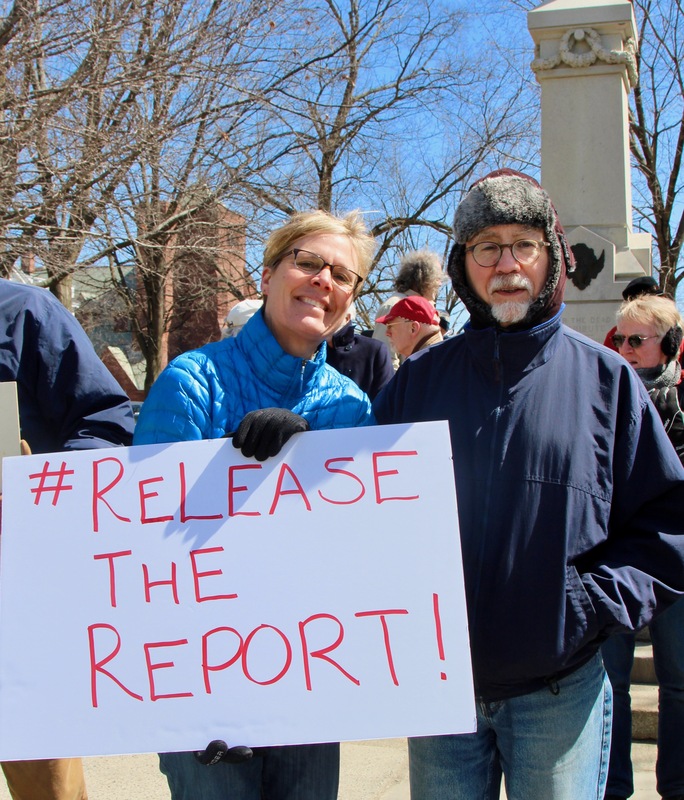 The attorney general can–and should–release the Mueller report. The Washington Post, Neal Kumar Katyal, Friday, 22 March 2019. See also, Will the Mueller Report Be Made Public? Answers to 6 Key Questions. The New York Times, Eileen Sullivan, Friday, 22 March 2019. ‘If you took it all in in one day, it would kill you’: What Special Counsel Robert Mueller’s investigation has already revealed, The Washington Post, Matt Zapotosky and Rosalind S. Helderman, Friday, 22 March 2019: “He pulled back the curtain on a sophisticated Kremlin hacking operation — identifying by name the 12 Russian military officers who he said sought to sway a U.S. election. He exposed a Russian online influence campaign — bringing criminal charges against the 13 members of a Russian troll farm now accused of trying to manipulate U.S. voters and sow division through fake social media personae. And he revealed how those closest to President Trump defrauded banks, cheated on their taxes and, time and time again, lied to deflect inquiries into their ties with Russia. After 22 months of meticulous investigation, charges against 34 people — including six former Trump aides or confidants — and countless hours of all-consuming news coverage, special counsel Robert S. Mueller III on Friday submitted the long-anticipated report on his findings to Attorney General William P. Barr.” See also, Special Counsel Robert Mueller’s Team Has Told Its Story of an Aggressive Russian Campaign to Upend the 2016 Presidential Election in a Series of Indictments and Court Documents, The Wall Street Journal, Aruna Viswanatha and WSJ Graphics, Friday, 22 March 2019: “Even before the release of any final report on his investigation, [court] documents detail allegations of a highly coordinated Russian effort and outline Moscow’s intersection with several figures in then-candidate Donald Trump’s orbit. Moscow denies interference, and Mr. Trump denies any collusion with Russia. Here is a timeline of alleged events, according to documents from the Mueller probe.” See also, Mueller Has Delivered His Report. Here’s What We Already Know. The New York Times, Larry Buchanan and Karen Yourish, published on Wednesday, 20 March 2019. See also, Michael Cohen, Paul Manafort, and Roger Stone: The Mueller Indictments, The New York Times, Scott Dodd, Friday, 22 March 2019: “The investigation of Robert S. Mueller III, who submitted his report to the Justice Department on Friday, has already revealed a range of events related to Russian interference in the 2016 election and produced a series of high-profile indictments. Six people connected to President Trump have been charged by the special counsel with an array of crimes, including financial fraud and lying to Congress and investigators. Five have been convicted or pleaded guilty. Twenty-eight others, including 26 Russians, also face charges.” See also, For Trump and the System, Mueller’s Report Is a Turning Point and a Test, The New York Times, Peter Baker, Friday, 22 March 2019: “[W]hatever the final conclusions, the Mueller investigation has already cast a cloud over Mr. Trump and his presidency. The special counsel has demonstrated that Russia intervened in the 2016 election with the goal of helping Mr. Trump, that the Trump campaign welcomed Russians promising incriminating information on behalf of their government about Hillary Clinton and that his advisers knew about stolen Democratic emails in advance. The investigation has demonstrated as well that Mr. Trump was seeking to do business in Russia even as a presidential candidate longer than he had previously disclosed and that he surrounded himself with crooks and liars in the form of advisers who repeatedly dissembled to investigators. That includes his campaign chairman, who is going to prison for that and a variety of financial crimes.” See also, Russia, Trump, and Mueller: The Major Moments in the Case, The New York Times, Michael S. Schmidt and Scott Shane, Friday, 22 March 2019. 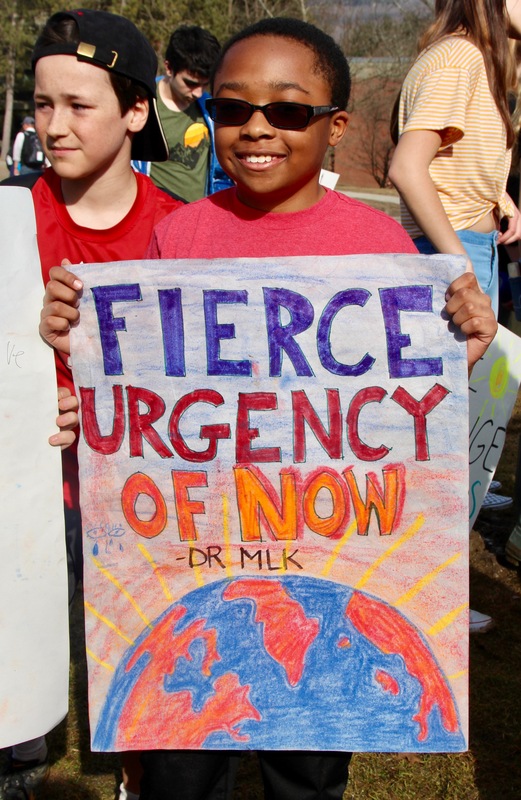 Pictures From Youth Climate Strikes Around the World, The New York Times, Friday, 15 March 2019: “From Sydney to Seoul, Cape Town to New York, children skipped school en masse Friday to demand action on climate change. It was a stark display of the alarm of a generation. 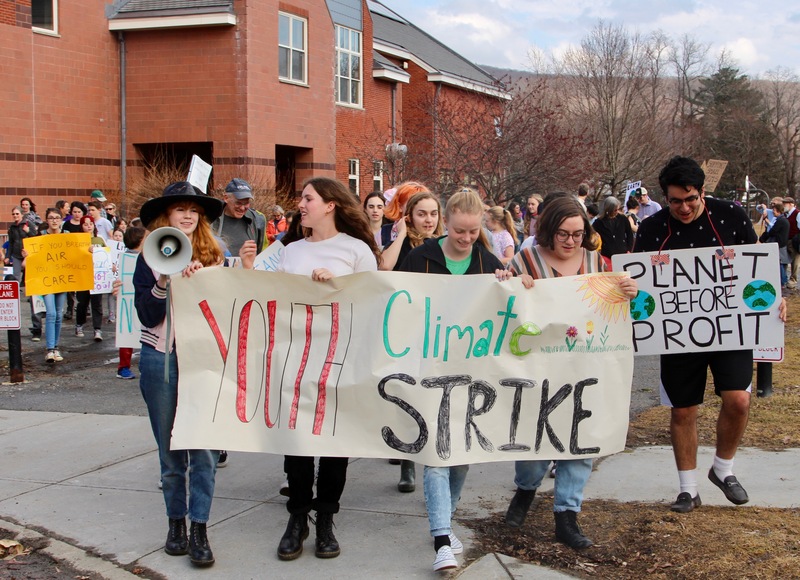 It was also a glimpse of the anger directed at older people who have not, in the protesters’ view, taken global warming seriously enough.” See also, School climate strikes draw thousands to the streets in cities around the globe, The Washington Post, Griff Witte, Sarah Kaplan, and Brady Dennis, Friday, 15 March 2019: “A movement that began with a single teenager [Greta Thunberg] protesting outside the Swedish parliament last summer became a global phenomenon Friday, as hundreds of thousands of students worldwide skipped school and took to the streets to demand urgent action on climate change. House Passes Democrats’ Centerpiece Anti-Corruption and Voting Rights Bill, The New York Times, Catie Edmondson, Friday, 8 March 2019: “The House passed the Democrats’ showcase anti-corruption and voting rights legislation on Friday, an expansive measure that aims to dismantle barriers to the ballot box, end big money in politics and impose stricter ethics rules on federal officials. The sweeping legislation, passed 234-193, makes good on the campaign pledge to clean up Washington that helped catapult Democrats into the majority. It also serves as a campaign platform for Democrats ahead of 2020. It has virtually no chance of passing the Senate…. The ambitious compendium, at nearly 700 pages, includes proposals designating Election Day as a federal holiday, automatically registering citizens to vote, and restoring voting rights to people who have served felony sentences. It also creates a six-to-one matching system for donations of up to $200 to congressional and presidential candidates who reject high-dollar contributions, funded by an additional fine on corporations found to have broken the law.” See also, House Democrats pass H.R. 1, their answer to draining the swamp, The Washington Post, Mike DeBonis and John Wagner, Friday, 8 March 2019: “The House approved a far-reaching elections and ethics bill Friday — one that would change the way congressional elections are funded, impose new voter-access mandates on states and, in one of several provisions targeting President Trump, force disclosure of presidential candidates’ tax returns. Democrats dubbed the bill H.R. 1, a designation meant to signal its place as a centerpiece of their congressional agenda. The measure, which has more than 500 pages, contains dozens of provisions favored by liberal advocacy groups, labor unions and other Democratic allies.” See also, House Passes the Most Significant Democracy Reform Bill in a Generation, Mother Jones, Ari Berman, Friday, 8 March 2019: “The House of Representatives on Friday passed the most significant democracy reform bill introduced in Congress since the Watergate era by a vote of 234 to 193. The sweeping bill, known as HR 1: the For the People Act, would massively expand voting rights, crack down on gerrymandering, reduce the influence of big money in politics, and require sitting presidents and presidential candidates to release 10 years of tax returns.” See also, House passes sweeping election reform bill, Politico, Zach Montellaro, Friday, 8 March 2019. See also, House Passes Extensive Election and Campaign Finance Overhaul Bill, NPR, Miles Parks, Friday, 8 March 2019. Bill Shine Resigns as White House Communications Director, The New York Times, Maggie Haberman and Peter Baker, Friday, 8 March 2019: “Bill Shine, the former Fox News executive who joined the White House staff last summer to manage President Trump’s communications operation, has resigned and will move to the president’s re-election campaign, the White House announced Friday…. Mr. Shine’s presence in the White House was seen as emblematic of how closely Mr. Trump has aligned himself with Fox, a symbiotic relationship that drew a critical appraisal in a much-read New Yorker article published this week. Mr. Trump has given the network about 45 interviews as president, using it to communicate with his most fervent supporters even as he embraces lines of argument that its hosts advance…. Mr. Shine had spent more than a year searching for another job after he was ousted from Fox [in May 2017] amid the scandal surrounding Roger Ailes and Bill O’Reilly and the accusations of sexual harassment that were made against them. Mr. Shine was not himself accused of improper behavior, but was faulted for a culture that sought to cover it up. The White House became his road to redemption.” See also, Bill Shine abruptly resigns as White House communications chief, The Washington Post, Philip Rucker, Josh Dawsey, and David Nakamura, Friday, 8 March 2019. In a Tense Exchange, Dianne Feinstein Lectures Children Who Want Green New Deal, Portraying It as Untenable, The New York Times, Lisa Friedman, Friday, 22 February 2019: “Senator Dianne Feinstein found herself in a standoff Friday with a group of schoolchildren who confronted her about her refusal to support the Green New Deal. In a video posted by the Sunrise Movement, which encourages young people to combat climate change, an exchange quickly became tense once Ms. Feinstein started to explain her opposition to the Green New Deal, an ambitious Democratic-led proposal that calls for a radical transformation of the United States’ energy sector…. Varshini Prakash, executive director of the Sunrise Movement, in a statement called Ms. Feinstein ‘out of touch’ and said the interaction shows that the Democratic Party needs ‘fundamental change. 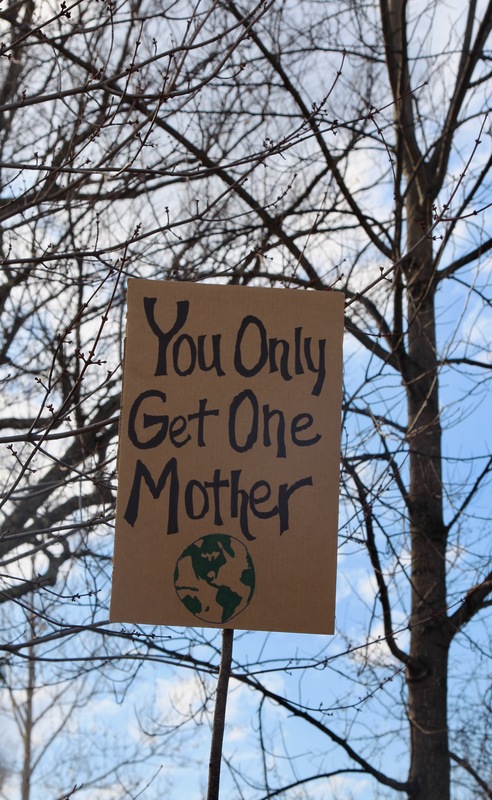 '” See also, Video of Dianne Feinstein dismissively rebuffing young climate activists’ calling for Green New Deal, The Guardian, published on Saturday, 23 February 2019: “The California senator has been criticised for her response to a group of children and teenagers asking her to support the Green New Deal. Video footage shows Feinstein flatly rejecting the activists’ request, telling them: ‘I’ve been doing this for 30 years. I know what I’m doing. '” See also, Video Shows Dianne Feinstein Dismissing a Group of Children Asking About Green New Deal, HuffPost, Carla Herreria, Friday, 22 February 2019: “A climate advocacy group is calling a foul against Sen. Dianne Feinstein after the California Democrat appeared to lecture and dismiss a group of kids who were urging for her to vote yes on the Green New Deal. Sunrise Movement, a budding environmental organization that urges lawmakers to take action on climate change, tweeted footage of a group of children with some adults at the senator’s office in San Francisco urging her to address the issue. Stephen O’Hanlon, a spokesman for the group, identified the protesters in the video as Sunrise Movement ‘supporters and family members’ in the Bay Area. The children present were between the ages of 7 and 16, according to the organization. In the Twitter video, Feinstein seems to rebuff the kids while boasting about her experience in the Senate. A full version of the encounter was posted to Facebook.” See also, School children debate Dianne Feinstein on ‘Green New Deal.’ Her reply? ‘I know what I’m doing.’ The Washington Post, Michael Brice-Saddler, Saturday, 23 February 2019.